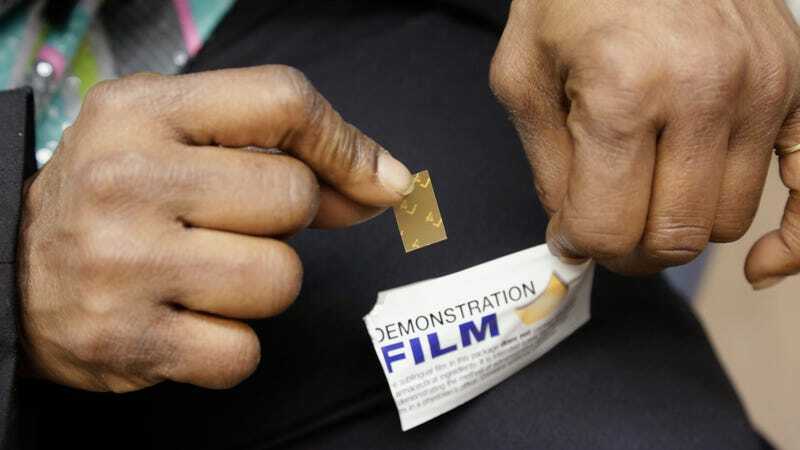 A demonstration dose of Suboxone Film, an opioid craving and withdrawal drug marketing by Indivior. Federal prosecutors on Tuesday indicted British firm Indivior Plc, the manufacturer of the opioid craving and withdrawal drug Suboxone Film, with misleading doctors and government health programs into thinking the drug was safer and less addictive than it really is, Bloomberg reported. According to the U.S. Justice Department, the company even ran a “Here to Help” program that purported to assist patients facing opioid addiction, when in reality, DOJ says, it directed them to doctors it knew played loose with scripts. In particular, Indivior aggressively marketed Suboxone Film, without an established basis, as having a “lower risk of child exposure” and a “less divertible/abusable formulation.” Indivior made these and other false and misleading claims in marketing materials and through representations to physicians, pharmacists, and health care benefit programs throughout the country... To further its scheme, Indivior announced a “discontinuance” of its tablet form of Suboxone based on supposed “concerns regarding pediatric exposure to” tablets, when in fact Indivior executives knew the primary reason for the discontinuance was to delay the Food and Drug Administration’s approval of generic tablet forms of the drug. Per NPR, the indictment alleges that Indivior knew the film version was potentially more dangerous and prone to misuse than the tablet version. Touted as a resource for opioid-addicted patients, Indivior used the program in part to connect patients to doctors it knew were prescribing Suboxone and other opioids to more patients than allowed by federal law, at high doses, and in suspect circumstances. The indictment alleges that Indivior executives and employees knew from statistical and numerous firsthand reports that some doctors in the Here to Help referral system were issuing prescriptions in a careless and clinically unwarranted manner. Prosecutors say Indivior made “billions” off the scheme; charges include conspiracy to commit wire fraud, conspiracy to commit mail fraud, and conspiracy to commit health care fraud, as well as one count of health care fraud, four counts of mail fraud, and 22 counts of wire fraud. They’re asking for forfeitures of at least $3 billion. Purdue Pharma, the company that originally developed the extremely addictive semisynthetic opioid OxyContin in 1995 and profited to the tune of billions while marketing it as safe, admitted wrongdoing in a 2007 plea deal and is still losing major lawsuits. Earlier this month, the New York Times reported that the ongoing litigation against the company uncovered documents from 2014 and 2016 showing that the Sackler family, its owners, discussed profiting off of opioid overdose-reversing drug naloxone and “implantable drug pumps to treat opioid addiction” as part of an “end-to-end pain provider” strategy. In March, the paper wrote that several prestigious museums the Sacklers had donated to were beginning to refuse the family’s checks, humiliating the pharma clan and leading it to “suspend further philanthropy for the moment.” A major lawsuit brought in New York by a coalition of 500 cities, counties, and Native American tribes has targeted the family directly.